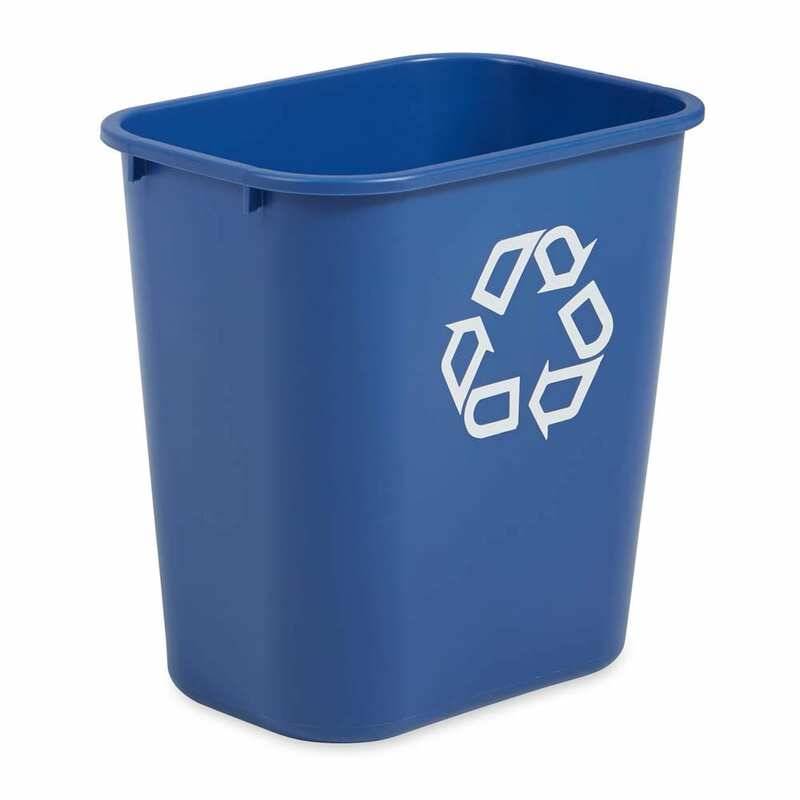 This 28-quart Deskside recycling container was made for use underneath workplace desks and other tight spaces in the office. A white recycle symbol identifies the container as the correct one to place recyclables. It can also be used to recycle cans and bottles.